During the year we are each busy working on our annual club project in anticipation of exhibiting them at our June miniatures show. In addition to our annual project we participate in a national workshop the first weekend in October (celebrating National Dollhouse Month). We are affiliated with NAME - the National Association of Miniature Enthusiasts. Occasionally the club has visited museums and private collections of miniatures throughout the state. Anne McGrath was a wife, mother, grandmother, nurse, teacher, and a talented miniaturist. 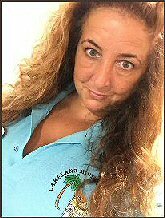 She became an elementary school teacher and then an elementary school principal in Connecticut. While a principal she discovered miniatures as a hobby and with her good friend Chris Giordano explored miniature shops all over New England. She traveled with miniature tours to Europe on several occasions. After retirement she and her husband Bill moved to Florida where her daughter Kim lived, and found Ron’s Miniature Shop in Orlando. Ron and Richard would become good friends with Anne – and she loved to shop! 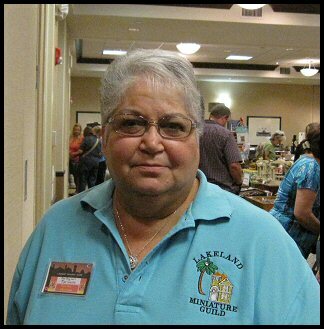 She was a lifetime member of NAME when she joined the Lakeland Miniature Guild in 2002 and became an active member teaching many workshops, helping wherever needed, and serving as workshop coordinator for our annual miniatures show for many years. We became best friends with Anne, miniatures binding us together. We enjoyed traveling together whenever possible, to shows in Central Florida, Sturbridge, Philadelphia, and especially the Chicago show. We did field trips to museums and miniature displays around Florida. Anne was a joy to be around and loved to laugh and tell stories. She was a great cook and made the best Baklava. She loved children and Christmas and made many holiday mini scenes, often donating same to children’s charity organizations. Her donations to our club are memorable too. Anne had a wonderful and distinctive laugh which made it possible to find her in a crowd! A light has flickered and gone out in the Lakeland Miniature Guild, and we will never forget her. We annually prepare a dollhouse for raffle from which the proceeds are donated (locally) to the Troxel Shelter for Women and Children at Lighthouse Ministries here in Lakeland. Over the past years we have supported United Way and also the Lakeland Library through books relating to our hobby We are always on the lookout for any way to display our miniatures for the community to enjoy and to encourage participation in this beloved activity for children of all ages - especially adults.